I made instructions but have yet to put them in pdf format. They are lopsidedly handwritten and so messy, oh well. 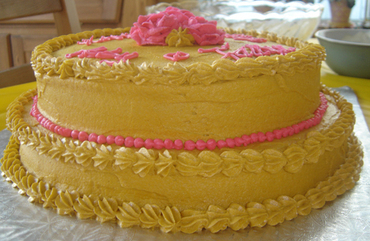 Fast forward to this year and I wanted to make a bit of a princess cake for the girls since they are really into dress up. 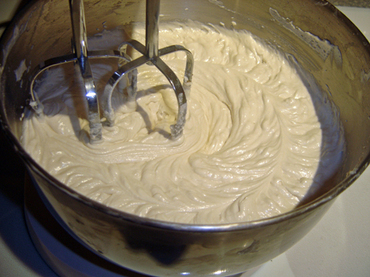 With mixer whirling the cake was underway. I used a recipe from Martha Stewart's website. 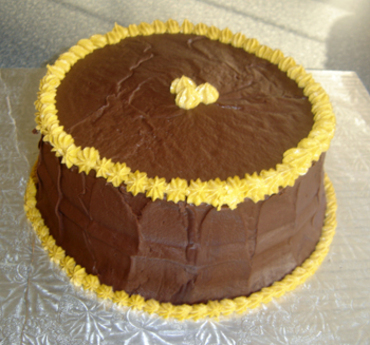 I have used it for cupcakes previously and decided to give it a go as a cake. 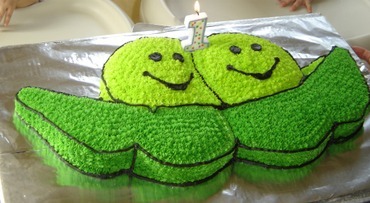 While these cakes were baking, I went to work on my final cake. 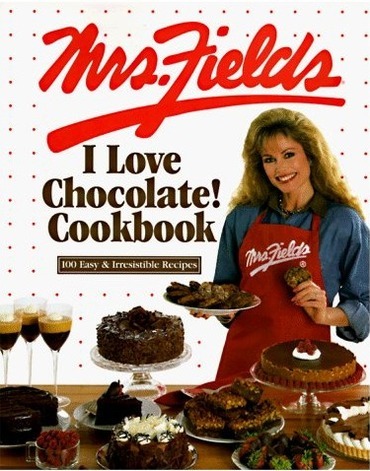 It is from Mrs. Fields "I love Chocolate Cookbook"
cake and some chocolaty icing for the really chocolate cake. My son loves, loves, loves chocolate cake. That is all he requested and that is what he got. So rich and chocolaty it could be called death by chocolate. Yummy! 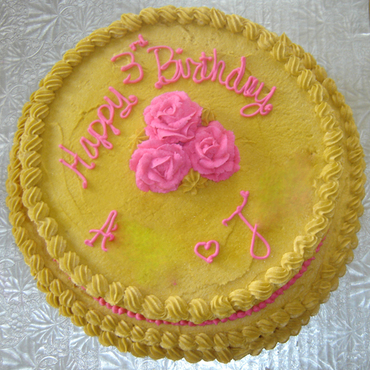 As for the vanilla cakes: Spread the icing, use a few fancy piping tips and voila you have a cake fit for two princesses. I even tried a few large roses this time. Oh and if you are wondering where their names are, I photo shopped them out, I love that program. I try to decorate my cakes while the wee ones are asleep. It's hard on them to see all this cake and yet not be able to eat it. It's hard on me too! This time around I was decorating them with everyone around. It made for an interesting adventure. These are sweet days in more ways than one.